Dr Micheline Sheehy Skeffington won an Equality Tribunal case in December 2014 against her university, NUI Galway, for discrimination on the basis of gender in the 2009 NUI Galway round of promotions to Senior Lecturer. 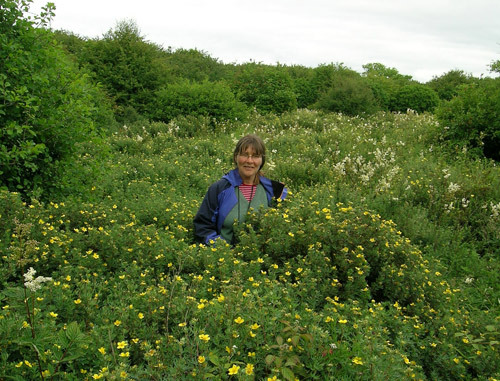 She is the first female academic to achieve this in Ireland or, apparently, in the UK. As well as back-dating her Senior Lectureship to 2009, she was awarded €70,000 damages. Dr Sheehy Skeffington took the case to highlight the poor representation of women in senior academic positions. In the same 2009 promotion round, five other women were short-listed, deemed eligible but not promoted. Dr Sheehy Skeffington has offered her damages to them so that they could take their own cases against the university, since so far the university has refused to acknowledge that the Tribunal ruling affects anyone other than herself. The President of the university, Dr Jim Browne, in an address to university staff the same week, announced he was setting up a task force to address the issue of gender imbalance in senior positions. He subsequently falsely claimed that Dr Sheehy Skeffington was on this task force. Dr Sheehy Skeffington felt this was to shut down the debate and distract people from the issues that give her cause for concern. So she set three conditions for her involvement in that task force, the first of which is to promote the five women. (To sign the petition supporting her click here) The university president Dr. Jim Browne subsequently met with the 5 women, however not only did he fail to accept the three conditions but also to indicate any intention of promoting the 5 women or seriously addressing the concerns about gender discrimination at the university. As a result the women have since entered papers at the Circuit Court, Labour Court at the High Court and they intend to pursue their challenge legally. Of course the university is only too familiar with fighting equality in the courts. It is therefore likely to be a long and expensive road to seek justice in this way. That is why we launched a campaign in an effort to pressurise the university into accepting the campaign’s three conditions (see updated version here) and begin to take seriously the issue of gender imbalance at NUI Galway. From the 3150+ signatures on the petition, the private messages of support and the accounts of people who have suffered similar injustices at the university, it became clear that while there might not be much appetite for change in university management, the university body has simply had enough. Staff and students alike are no longer content to sit back and wait for ‘reviews’ to be completed. They are no longer content to listen to the president’s commitments for change given in press releases while employing legal firms to fight equality in the courtroom. The momentum for change is now too strong, with support from all elements of the university, for the barriers and walls of prejudice to withstand. Equality is emerging at NUI Galway, but only very slowly. In May 2016 the university adopted in its entirety the report from the task force chaired by Prof Jane Grimson. This report was not perfect but included radical recommendations which will mean the imbalanced representation of women in senior posts will, with time, be corrected. Most important is the inclusion of the third of Micheline’s three conditions: mandatory quotas for women based on the number of women in the level from which they are being promoted. We believe the full adoption of this report only occurred because of the amount of pressure this campaign has asserted through high-lighting the atrocious situation for women in NUI Galway. There is still more to do in this area to properly fulfill Micheline’s third condition. The campaign will monitor NUI Galway to ensure all the promises in the report are properly implemented. In particular, that all female staff in the university equally benefit from the changes and the University management team itself is gender balanced. along with committees etc. 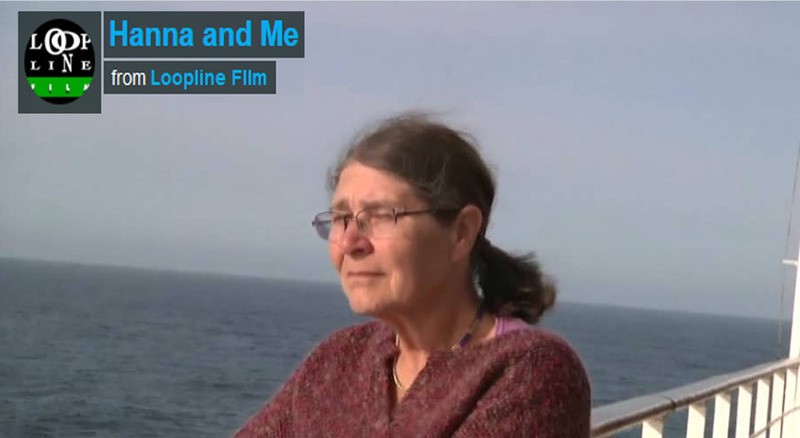 But now the main focus of the campaign has become Micheline’s other two conditions. The past injustices have still to be addressed. 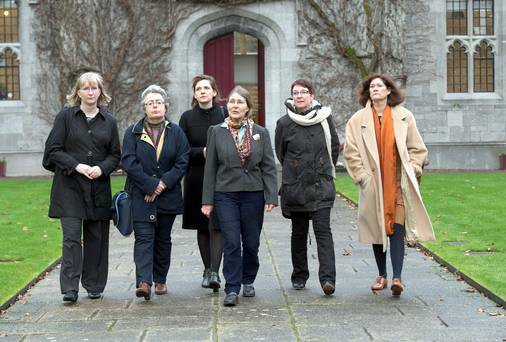 Until they are we will not relent in ensuring NUI Galway is still branded as misogynist. Most important: Promote the Five! 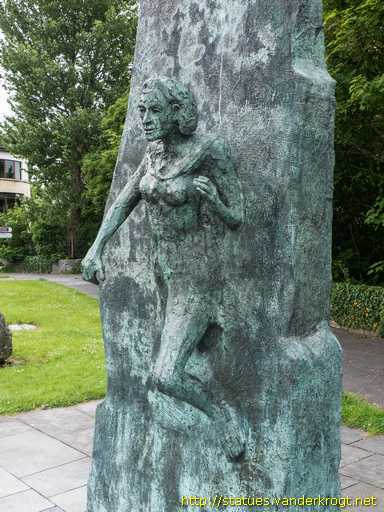 Bronze sculpture of a woman emerging from a wall. idea of Eddie Higgins of SIPTU and Nuala Keher of NUI Galway. for equality and to those suffering because of its absence. the wall, those people and systems in opposition. My best wishes to Mich and her supporters. ❤ I've signed the petition and asked my contacts to do the same.